Zoe Foster Blake and Hamish Blake are all of us at the beach. No one knows better than a former beauty editor the very great importance of slip, slop, slap. Likewise, a beauty brain and red-carpet habituee such as Zoe Foster Blake, 35, is acutely aware of the power of a well-curated Instagram feed. So what to do when you’re hanging out with your husband on one of the Whitsundays’ most stunning stretches of beach and you want to document it for posterity? Foster Blake decided to keep it real. … And how we actually looked for most of it. Nice one, Foster Blakes! Your rashies are actually totally hot right now. And Hamish, you are rocking that Panama hat, my friend. 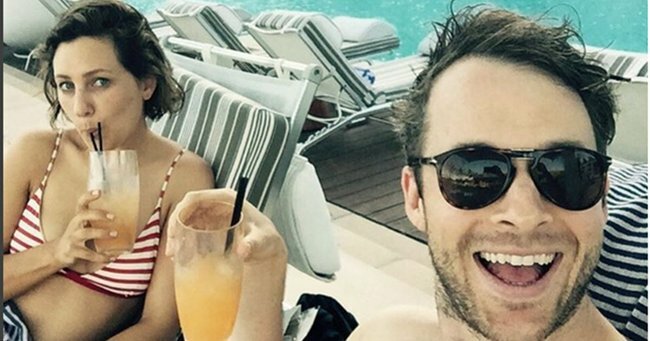 The couple are hanging out in the Whitsundays to celebrate the 34th birthday of Hamish Blake. According to Foster Blake’s reliable Instagram feed, it’s all cocktails by the pool, scenic helicopter rides, and romance. Their little guy, Sonny, one, appears to have been left at home for this parental pre-Christmas break. Enjoy it, Foster Blakes! And thank you for the extremely sun-safe snap.